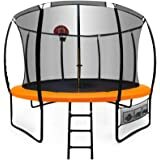 12FT Round Summit Trampoline with 200kg Weight Capacity and Free Delivery. 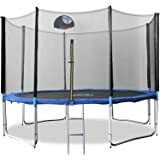 - Ladder: Removable Ladder, made of heavy galvanised steel. 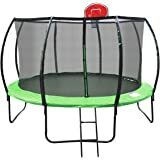 Kickdeck that was supposed to come with the trampoline and the company hasn't replied to the message I sent on 27 December to advise them. 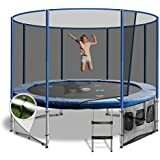 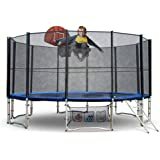 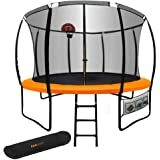 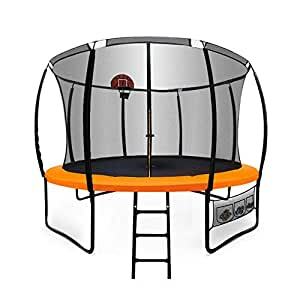 The trampoline itself is good and the kids have really enjoyed using the basketball hoop and ball which is more robust than i thought it would be.